When you know that you are in need of a professional to take care of your Fayetteville landscaper services, you need to feel confident that you are getting the best service possible. This is why so many locals turn to the team here at our Landscaping Fayetteville services to get the job done. We take this line of work seriously and it shows in the results that we are able to deliver for each and every one of our customers, each and every time. Don’t take chances when it comes to the quality of work that goes into your landscaping, for both residential and commercial yard spaces. Since 2007, we have established ourselves as the company that is worthy of earning and retaining your business, for a wide variety of essential services. Our main goal is to be able to allow you to focus on what you do best, running your business, running your household or simply enjoying your spare time, while we take care of the yard work and other services that tend to take up this time. Why try to take care of a job that you do not have the training, experience, skills or equipment for when we can do that for you. 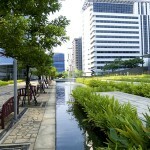 One of our main areas of specialty happens to be landscape design and maintenance. Let us help plan, design and install the landscape of your dreams and then be there to also help take care of it for you. Too many homeowners assume that once the initial landscaping is in place that they will be able to take care of it on their own. However, how exactly are you qualified to complete this job when we have the training and expertise to truly care for it? Too many well-meaning homeowners assume they can take care of their professional landscaping, once it has been installed. While the intentions may be good, it doesn’t take long to realize you don’t have the time, qualifications or equipment needed to get the job done and before long the care and upkeep becomes a back burner project. 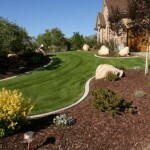 The thing is, keeping up your yard is always our top priority, so let us show you all that we can do for you. 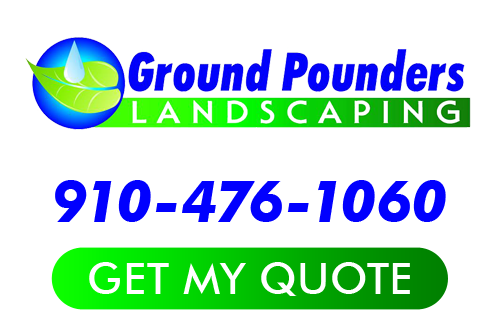 Our Landscaping Fayetteville company don’t just take care of residential landscaping, we are also the experts to trust for commercial services too. Don’t try to divide your time between running your business and taking care of yard maintenance. Let us help you always keep up appearances and make a good first impression with potential customers, by being the name that you trust to care for your landscaping. Give us a call today so that we can get started. You will also be glad to know that our Landscaping Fayetteville company can address your need for concrete and specialty services, as well. Your yard requires more work than just dealing with the grass and we want to be the name that you come to trust for all of the work that you need done. Let us take care of your gutters, hardscapes, fencing, grading and so much more. We look forward to working with you and showing you in person how we have earned the flawless reputation we have. 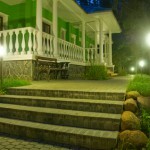 As the experts in outdoor environment enhancements, we look forward to showing you all that we can do for you. And as a locally owned, small business, we are proud and honored to be able to provide each customer with the professionalism you would expect from a large corporate run outfit as well as the individual care that only small businesses really can dedicate to each client. If you are ready to get started with any of these essential Landscaping Fayetteville services, all you have to do is give us a call so we can begin working together on your project.